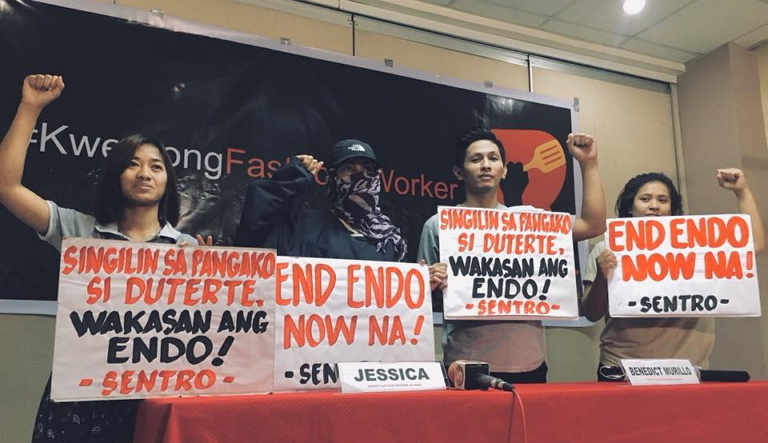 The Respect Fast Food Workers’ Alliance (RESPECT) won an important partial victory in their long-running campaign for fast food workers’ rights to secure jobs when the Department of Labor and Employment (DOLE) on April 3 ordered Jollibee to convert 6,400 casual workers to direct, permanent employment. RESPECT, while welcoming the order, is demanding its immediate implementation and calling for it to be applied more widely to both company-owned and franchised outlets and to all fast food chains, including McDonald’s. Thousands of fast food workers in the Philippines are employed through labour hire agencies on multiple contracts for several years. These precarious arrangements and ease of termination prevent workers from challenging delayed wages, unfair deductions and wage theft.